The last place you want to be is on the receiving end of Ben Shapiro’s laser sharp tongue. The Daily Wire founder obliterated late night host Jimmy Kimmel’s “abhorrent,” and “nasty” gun control views. 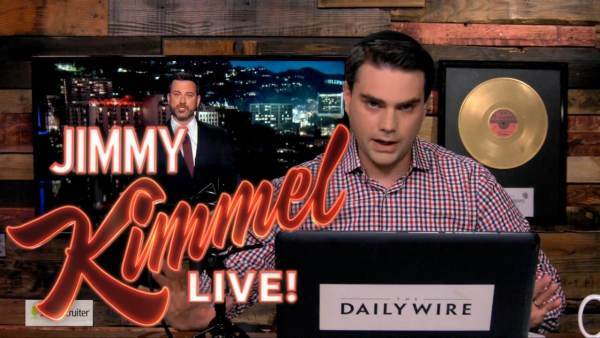 Almost two weeks after demolishing Jimmy Kimmel over his asinine health-care tirades, conservative star and podcast host Ben Shapiro obliterating the ABC late-night host on Tuesday for an “abhorrent, “gross,” and “nasty”gun control rant touting confiscation and mauling those against his views as monstrous. “Jimmy Kimmel should not cheered for what he did last night. Jimmy Kimmel should be asked to provide the evidence for his suppositions rather than the evidence for his emotions. Again, I believe he’s sincere. Sincerity does not make what you’re saying smart,” Shapiro argued at the end of his podcast, which featured over 20 minutes on Kimmel’s post-Las Vegas shooting rant.